The Standing Stone: Holy Island, Inishcealtra, Ecclesiastical Complex, Co. Clare. Holy Island, Inishcealtra, Ecclesiastical Complex, Co. Clare. 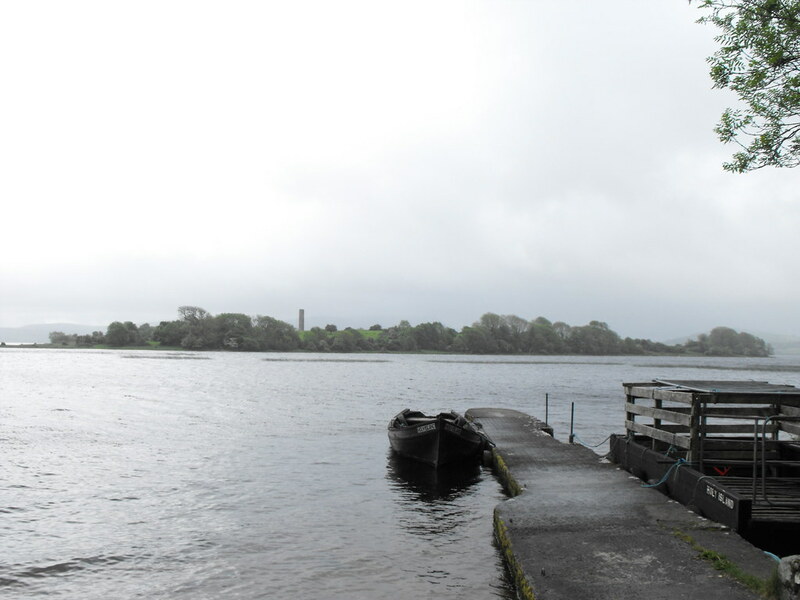 Location – In Lough Derg near the town of Mountshannon. There are many boats who offer trips to the island for reasonable prices. This is a very loose grid reference. I don’t have GPS for this site yet so these are general co-ordinates which will just pinpoint the island on a map. I will give of specific co-ordinates for individual sites but, as for now, I am lacking GPS co-ordinates. Description and History – Holy Island is a fantastically preserved monastic settlement dating to the early Christian period in Ireland. Being isolated has helped some unusual features survive. The island was probably considered to be sacred in pre-Christian times and was the reason why it was chosen as a destination by Irish monks. Saint Colm is the first monk associated with the site although Saint Caiman is primarily associated with Holy Island. It was destroyed by Vikings in 836AD and then later rebuilt under the orders of Brian Boru. It was a popular pilgrimage site until the 19th century. Today it is a popular tourist site with many boats offering trips to the island. It is a very unusual and special place and well worth making the effort to get out to see it. Click below to read about the individual sites on the island. Difficulty – Once on the island everything is fairly easy apart from the bullauns which require wellies and walking out into the Lough. However, a boat is required to get to the island but various boats offer trips to the island.